So I don't expect this monsignor Capella to see any sort of long term jail time. They may, for a positive PR campaign put him behind bars for a little while so as to make it appear as if the present Jesuit Pope is actually doing something about the way these children keep getting raped and killed by Catholic priests and nuns. But as we know, this has been the norm in the Vatican since its inception as ancient Didiache documents confirm. They have had this problem for literally centuries and with each generation another Pope steps up to claim they will fix the mess but they never do. All they do is make promises so as to calm the people. The last 3 Popes in our generation alone proved that hands down. The prophecy of the prophet Daniel (See Daniel 11:37) clearly stated long ago that the prelates in Rome would be homosexual, and just recently we discovered that 98% of the priesthood in the Vatican building itself are in fact homosexual, and I did a radio spot as well as an expose' on my site many years ago during the AIDS crisis wherein it was found that Roman Catholic priests were dying of AIDS 11 times greater than anyone else. Not long after that one of Pope Benedict's personal in house usher's was busted running a homosexual prostitution ring for the priests. Still one would think that they would stop all this wickedness after being outed so often but no, they just keep going as they always have. 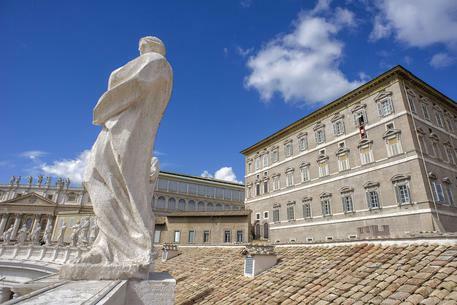 In 2015 in fact it was found that the Vatican actually owns homosexual brothels in Rome wherein the Roman Catholic priests working in or visiting the Vatican frequent numerous times a day. But what amazes me the most in all this is that, even though all this has been declared worldwide for centuries and even more so in just the last few decades, and even though since 2012 the Vatican has paid out well over 2 billion dollars in lawsuits to loyal Catholic families in the USA alone! And no, that's not counting the millions of other children worldwide that have also been molested, raped and even killed by the Vatican priests and nuns. Yet the Catholic people keep paying the priests all the money they need to pay off those lawsuits and their dear and precious children continue to be molested, raped and even killed by those same priests. And so I implore all of you to please pray for the Catholic people that they at least get their children out of harm's way for they will be held accountable by the Lord Jesus Christ for allowing those little ones to be harmed. Jesus is soon to return and as prophesied He will enact justice upon those evil priests in the Roman Catholic church as well as anyone else in agreement with them. That prophecy, like all the others before it, WILL be fulfilled because our God has seen the end from the beginning.